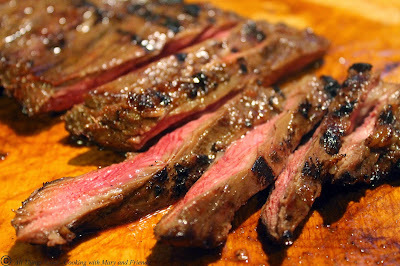 Using a recipe from the cookbook "Ally's Kitchen: A Passport for Adventurous Palates," What's for Dinner, Ally's Kitchen, we tried her Grilled Smoky Skirt Steak using a skirt steak from West Ridge Farms - Premium Beef. Oh my word, it is delicious. Carve it against the grain and enjoy! Pat the steak dry with paper towels and coat both sides of the steak with cooking spray. In a small bowl combine the oil, soy sauce, brown sugar, salt, garlic, cumin, paprika, ginger and allspice and blend together well. 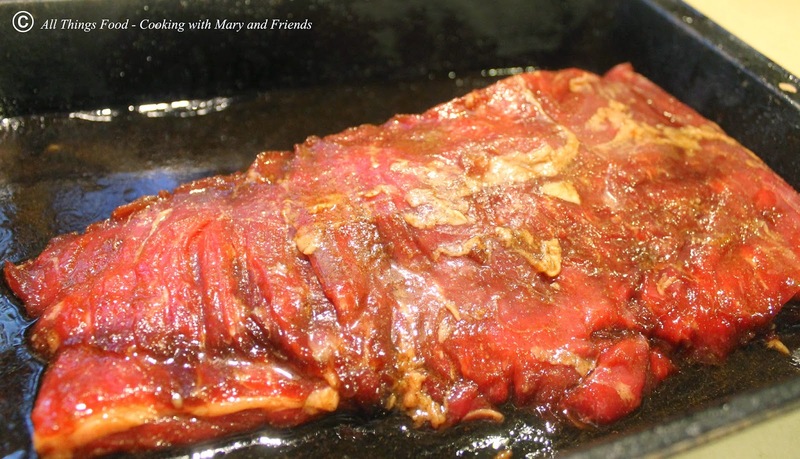 Rub the marinade mixture onto the top and under the side of the skirt steak and fold the steak over in the middle. Put it in a large zip-top bag and refrigerate at least one hour. Overnight is better. 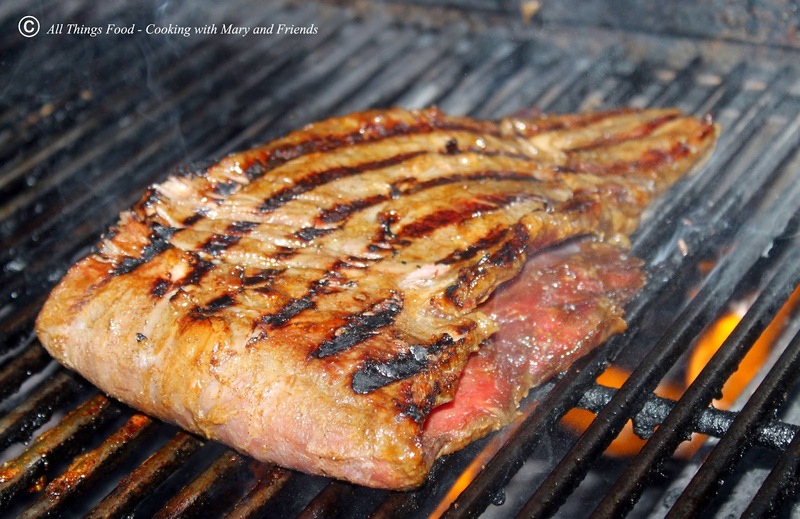 Coat your grill with cooking spray to prevent sticking. Heat grill to 500-550 degrees (direct high). 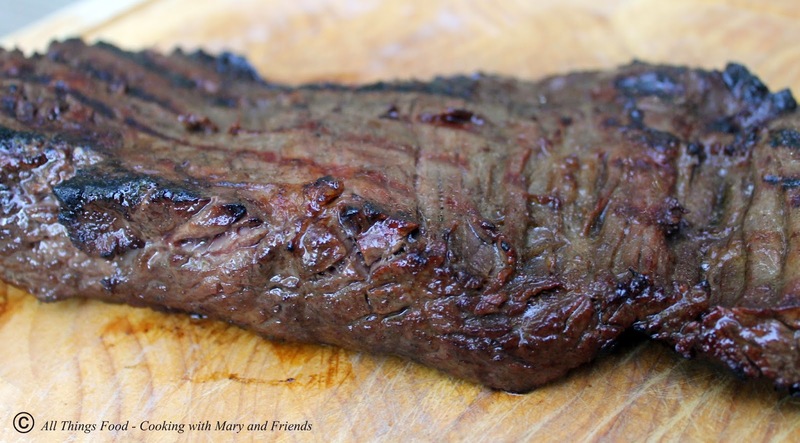 Put the skirt steak (still folded) on the grill and close the lid. Grill it for 1 1/2 -2 minutes. Open the grill to check and make sure you don't have any seriously roaring flames going on; if so, carefully move the steak out of the flames to another section of the grill and close the lid. Using tongs, flip the folded steak over, close the lid and grill another 1 1/2-2 minutes. Unfold the skirt steak and grill on each side another 45-60 seconds per side with the grill lid open.